The Seattle Housing Authority will award two, and possibly more, Dream Big! 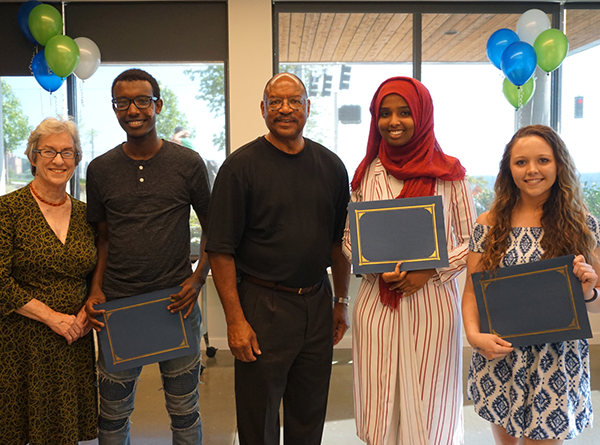 Scholarships to students who plan to attend college full-time in the 2019-2020 academic year. The scholarships awarded are $1,000 each and paid directly to the recipients' school for tuition, books and fees. Successful applicants will demonstrate a desire to further their education and an ability to succeed based not only on academic achievement, but also persistence and non-academic experiences. Students age 21 and under who are living in SHA housing or using a Housing Choice Voucher are eligible. The deadline to apply is April 1, 2019. The Dream Big! Scholarship application and additional scholarship opportunities can be found here.